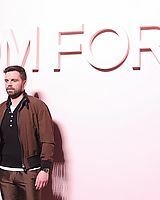 When actor Sebastian Stan first read the script for “I, Tonya,” the eccentric biopic about former figure-skating champion Tonya Harding, he felt terrified. Stan was considering the part of Jeff Gillooly, Harding’s abusive ex-husband who was convicted in 1994 for the attack on rival figure skater Nancy Kerrigan. “How could I ever play this?” Stan wondered. There were scenes showing Gillooly physically abusing Harding, manipulating her after the Kerrigan attack, and ultimately ruining her skating career. “I, Tonya,” directed by Craig Gillespie from a screenplay by Steven Rogers, premiered at the Toronto International Film Festival last weekend and quickly became the most buzzed-about film as audiences cheered the eccentric, empathetic performances by Margot Robbie as Tonya Harding, Allison Janney as her caustic mother, and Stan as Gillooly. The film was reportedly picked up by Neon and 30West for about $5 million. 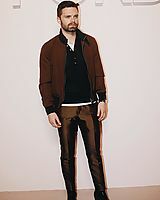 Stan, 35 years old, also plays Bucky Barnes (the Winter Soldier) in Marvel’s “Captain America” films co-starring Chris Evans, and he’ll reprise the role in the upcoming “Avengers: Infinity War.” He’ll also star in upcoming political drama “The Last Full Measure”. How did you approach Jeff Gillooly as a character? It seems easy to look down on these people, but you had to find the empathy for him. The script had funny moments in it, it had scary moments, tragic moments. 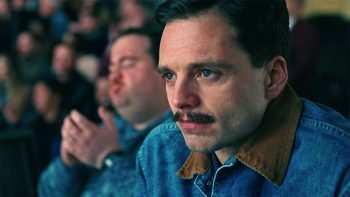 When I read the script I was like, “this cannot really be true.” I listened to the interviews that [screenwriter] Steven Rogers had with Tonya and Jeff, and I realized, “Oh my God, a lot of what was in the interviews is actually in the script.” Craig had a lot to do with it — the idea of tone, which was right from the beginning, the idea of something Fargo-esque about it. The sensationalism of it all. We had to play that along with finding anything that was grounding and that made it real. Things like breaking the fourth wall, talking to the camera, making the documentary-style approach — that helped a lot. What were your thoughts on masculinity while playing him? There are times it seems he was trying to protect Tonya, even if his way of doing that was destructive. I’m thrilled to hear that’s something you felt. I was sort of hoping for that. He was generally setting out to try and do the right thing but unfortunately was perhaps hindered and incapable by not having the tools to be able to do that in the right way. I think sometimes in life, we take things for granted. Not everybody has a psychologist in their mind that sits there and goes, “Do this, don’t do that.” Both of them are incredibly emotionally impulsive. It’s really unfortunate that sometimes, as is the case with Tonya obviously, we always tend to reflect the love that we get when we’re children. If you’re getting abandonment, if you’re getting abuse as a child, if you’re getting uncertainty when you’re a child, unfortunately you tend to look for that in your life later on and you think that’s love. Did you have to suspend judgment and just inhabit him? 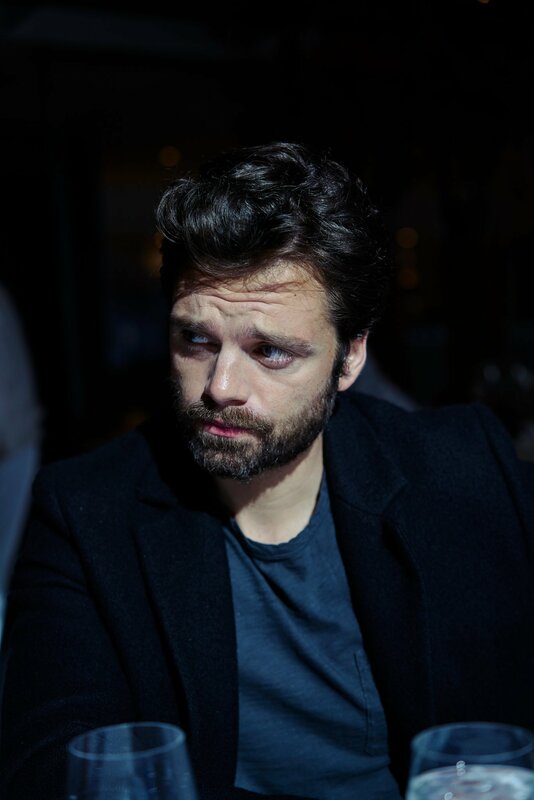 Sebastian Stan has always appreciated a good anti-hero. 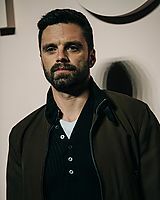 Maybe that’s why he went from breaking hearts on Gossip Girl for three seasons to breaking up the Avengers as the Winter Soldier, a brainwashed Soviet assassin who just so happened to be Captain America’s former BFF Bucky Barnes. And even though he may be back with the good guys again following the events of Civil War, Stan can’t quite seem to escape the pull of the dark side. That’s how – in between his obligations as a now-central cog in the MCU – Stan found time to appear in I, Tonya, a no-holds-barred look at the notorious Tonya Harding scandal that’s taken the 2017 Toronto International Film Festival by storm. The dark comedy from director Craig Gillespie has been earning raves for both Margot Robbie, who stars as the two-time Olympic figure skater, and Stan, who plays Jeff Gillooly, who served 18 months in jail for his role in the ’94 assault on Harding’s fellow Olympian Nancy Kerrigan. The morning after the movie’s TIFF premiere, RT sat down with Stan to talk about his Five Favorite Films and love of complex characters, along with the challenges involved in playing Harding’s infamous ex-husband and doing this stranger-than-fiction true story justice. Rick Mele for Rotten Tomatoes: It’s interesting, a lot of the movies you’ve mentioned sort of use all the tools of moviemaking — they pull from the whole toolbox — which is something I think I, Tonyadoes too. It’s got flashbacks, interview segments, it’s heavily stylized, it’s got a fun soundtrack, characters break the fourth wall. Sebastian Stan: That’s what was really great about Craig [Gillespie]. I had a front-row, center seat to see him, how he worked. He was the best. There was a scene in I, Tonya where we ran out of time. It was a courtroom scene with extras, a packed courtroom — the judge, five characters, and some dialogue. And they ran out of time. They were like, “How do we do it?” Like, “How do we tell the story of being in this room for the judge’s decision?” And Craig was like, “OK, we’ll do one steadicam shot. We’ll come in, we’ll sweep through, we’ll take everybody in, we’ll come around here, and then Margot breaks the fourth wall and talks into the camera.” And I was like, “That’s great!” But, you know, I guess what sets those guys apart is being creative in terms of showing you something visual in a different way. RT: And speaking of anti-heroes, that’s a little like what you’re playing here. Jeff is a difficult character. He’s not a straight villain, but he’s definitely not a hero. Stan: Of course. My thing with Jeff was, I felt like there were these two really tough tasks, which was, one, he’s going to see this. I met him once, and once only, and I don’t know the man, other than what I’ve tried to find out about him. But I was just like, I want him to feel like… Hopefully I got something right. Regardless of what happened and who he is and whatever was said. And then the other problem is, of course, if that really is true [the accusations of domestic violence], if that’s how he was… How do you justify any of that? So, it was really difficult. But I tried to look at it from the perspective that it was sort of a love story, in a weird way. And then I just started going from there, trying to push further and further with, well, what makes someone insecure or obsessive or jealous or crazy or needy? That was my “in” to the situation. Because otherwise, half the time I would’ve been judging my every move, and you can’t do that. RT: Was there anything you picked up from meeting him that you were able to use in your performance? Stan: It was more physical stuff. Meeting him was more helpful for me for the interview scenes, when he’s way older. Because I had no footage of him, like, now. So just seeing him now, and how he was behaving, what his mannerisms were. It was more about that, rather than the story itself. I just kind of wanted to watch him. RT: How much did you know about the story going in? I was thinking back on it, and I definitely remember when this all happened, but I was still kind of young. I think we’re around the same age, but do you remember following this story?